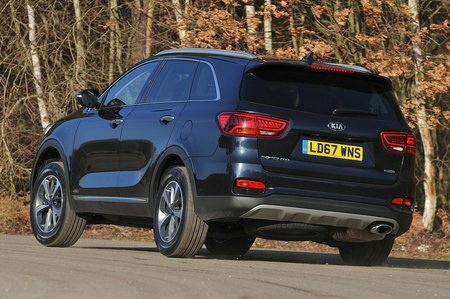 Kia Sorento GT-Line Review and Deals 2019 | What Car? This sporty trim is based on KX-2 but adds 19in wheels, ‘ice cube’ front foglights, electric driver’s seat adjustment, keyless entry and start, LED rear lights, lane-keep assist, plus sportier bumpers and trims inside. We’d avoid it because the 19in wheels do nothing for the ride.